1.Small size, light weight only 15g, wear comfortable, durable.Suitable for business, sports, running, cycling, jogging, exercising or favorite activities.The unique design of neck hanging wire, using nano-silica gel material, customized non-deformation memory steel wire, not only provides a soft and skin-friendly touch, but also ensure that the unique neck hanging design shape. 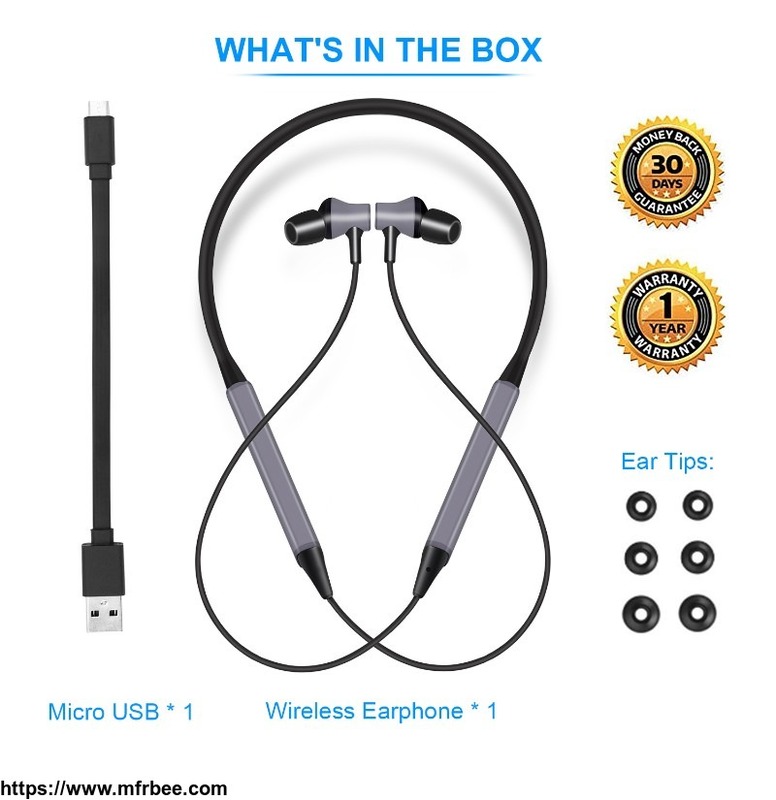 2.Bluetooth headsets enable easy wireless calls and the ultimate music experience, providing incredible clarity.The connection distance is up to 20m. 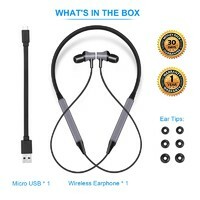 3.Wireless dual aural stereo design, HIFI hi-fi stereo benefits from 10 mm drive unit, two headphone sound and cavity perfect fusion, give the ear more real wireless stereo enjoy. 4.Portable large capacity charging box, built-in 200mAh lithium ion battery, anytime and anywhere to listen to music, maintain sufficient power. 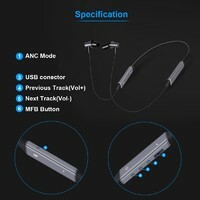 5.Adopt advanced DSP active noise elimination technology, less interference.Built-in hd microphone, provides clear, loud sound, let you feel the perfect answer to the phone effect.There are also three noise reduction modes to choose from: Monitor mode, Voice mode and ANC mode.Truly achieve the desired effect without taking off the headset.